Diana Ross and the Supremes lip-sync their latest hit "Reflections" on "American Bandstand. The Jimi Hendrix Experience performed at The Ambassador Theatre in Washington, DC. The Monkees concert at Municipal Auditorium in Mobile, AL, is recorded for possible future release. 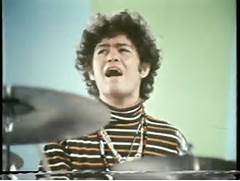 It won't see the light of day until Rhino Records takes over The Monkees catalog twenty years later. Here in Chicago, Paul Revere and the Raiders perform at The International Amphitheater. After the Grass Roots regrouped in early 1967 with a new lineup -- lead guitarist Creed Bratton, rhythm guitarist / keyboard player Warren Entner, bassist and lead singer Rob Grill, and drummer Rick Coonce -- they sent two songs into the top 30 on the Dunhill label in rapid succession. The first of those was "Let's Live for Today," soon followed by "Things I Should Have Said," which made its debut on the Billboard Hot 100 on August 12, 1967. The song was written by P.F. Sloan and Steve Barri, who produced the recording session. Both songs were included on the "Let's Live for Today" album, and Dunhill Records dispatched the band on a concert tour as soon as the album was complete. "Everything happened so quickly, I hadn't even checked out of college -- I just left. I was barely 19. It was just a roller coaster ride from then on," Rick Coonce told authors Marti Smiley Childs and Jeff March for their book "Where Have All the Pop Stars Gone? Volume 2" ( http://www.editpros.com/WHATPSG_Vol_2.html ). Folk-rock-flavored "Things I Should Have Said" peaked at No. 23 on the Hot 100 and remained on the chart for eight weeks. Summer reruns means no new episodes of "The Ed Sullivan Show" or "Hollywood Palace" this month. However the ABC Summer Replacement Series "Picadilly Palace", hosted by Great Britain's comedy team of Morecome and Wise, presented both Gene Pitney and Eric Burdon and the Animals this week as their musical entertainment. 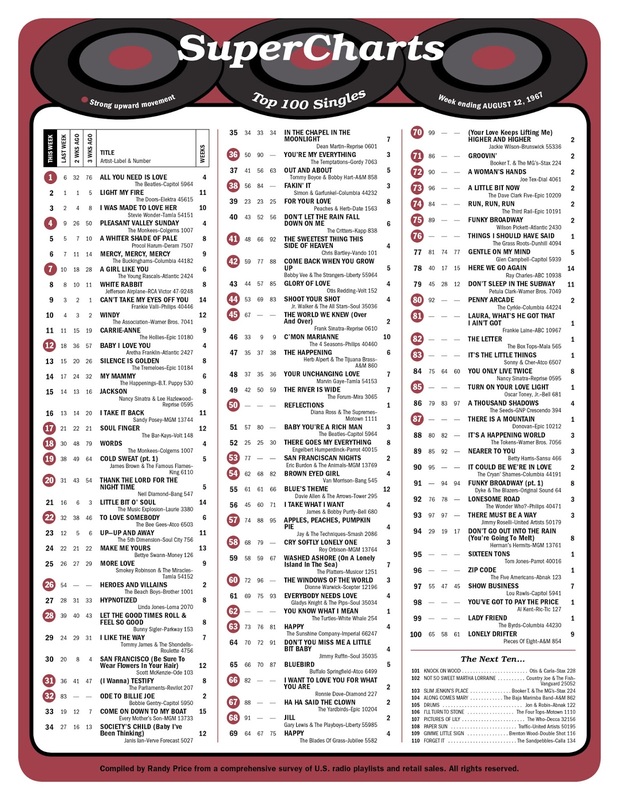 Lower chart action this week sees "Come Back When You Grow Up" by Bobby Vee jump 17 places from #59 to #42, "The World We Knew" by Frank Sinatra up 22 spots from #67 to #45, "San Franciscan Nights" by Eric Burdon and the Animals up 24 places from #77 to #54, "Apples Peaches Pumpkin Pie" by Jay and the Techniques up to #57 from #74, "The Windows Of The World" by Dionne Warwick moves up a dozen spots from #72 to #60 and "Ha Ha Said The Clown" by The Yardbirds is up 21 spots from #88 to #67. Jackie Wilson's looks to have a HUGE comeback record on his hands as "Higher And Higher" jumps from #99 to #70 and folks evidently aren't tired of hearing "Groovin'" yet as the Booker T. and the MG's instrumental version climbs from #86 to #71. The Dave Clark Five are back on the chart this week, too, as their latest, "A Little Bit Now" climbs from #96 to #73. The Monkees perform at The Sam Houston Coliseum in Houston, TX. Earlier that day Michael Nesmith did an interview with The Houston Chronicle and made the comment "People say that 20 years from now these kids won't even remember what The Monkees were." As the group celebrated it's 50TH ANNIVERSARY last year (with sold out shows and the release of a brand new, best-selling album), I'd have to say EVERYBODY (including the members of the band themselves) misjudged the life-long appeal that this quirky little made-for-TV band would have on every generation to come! 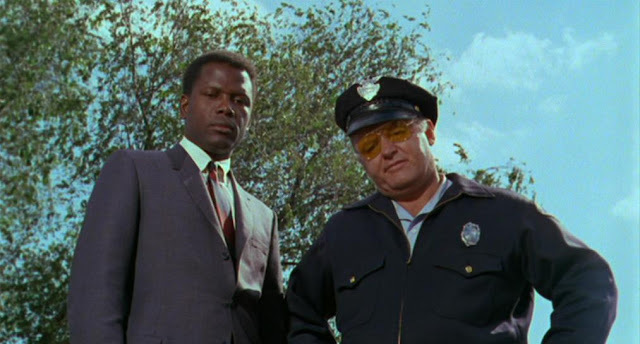 On August 10, 1967, Sam and Dave recorded what would become their signature song, the celebratory "Soul Man." Another Isaac Hayes and David Porter composition, it was inspired by the hand-lettered "soul" and "soul brother" signs that black business owners posted on their storefronts to protect their property from destruction during the July, 1967, Detroit riots in which 43 people were killed, more than 400 others were injured, and 2,500 businesses were looted or incinerated. The song helped to affix the term "soul" as synonymous with black identity and pride. A couple of 1967 classics premier on the chart this week … "Reflections" by the now newly re-named Diana Ross and the Supremes debuts at #50 (a touch of Psychedelic Motown??? Gotta keep with the trends, I guess! ), "You Know What I Mean" by The Turtles (I love it, Howard Kaylan hates it!) 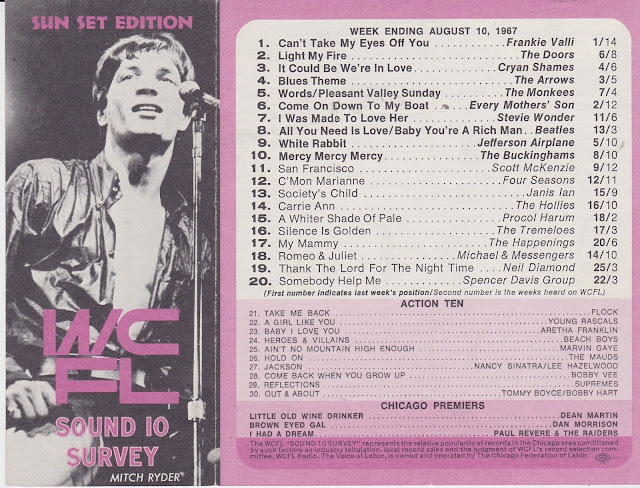 debuts at #62, "Things I Should Have Said" premiers at #76 for The Grass Roots and one of the biggest hits of the decade, "The Letter" by The Box Tops bows at #82. The Monkees perform at Memorial Auditorium in Dallas, TX. Earlier that afternoon they took over radio station KVIL for their own special show. The rest of the Top 40 shapes up like this … "To Love Somebody" by The Bee Gees" is up ten places from #32 to #22, "Heroes And Villains" by The Beach Boys looks like another bonafide hit, climbing from #54 to #26, a jump of 28 places, "Let The Good Times Roll / Feel So Good" by Bunny Sigler makes an eleven point move from #39 to #28, "You're My Everything" by The Temptations continues to climb, this week moving from #50 to #36 and "Fakin' It" by Simon and Garfunkel climbs from #56 to #38, a jump of 18 places. But the BIG mover this week is "Ode To Billie Joe" by Bobbie Gentry, which climbs from #83 to #32, a move of 51 spots. This uniquely crafted song doesn't sound like ANYTHING else on the radio at the time … and, quite honestly, before or since! Bobbie will capture the hearts of America with this down-home, home-spun tale of mystery and intrigue. Unfortunately she will never match its success on the charts and for the past several decades has reportedly lived as a recluse, refusing to discuss this song or meet with the press under any circumstances. The Beatles take over the top spot on the Top 100 Singles Chart (as we always knew they would) with their summer anthem "All You Need Is Love". (Could there be a better Summer Of Love anthem than this?) It made its way to #1 in just four weeks (#76 to #32 to #6 to #1). 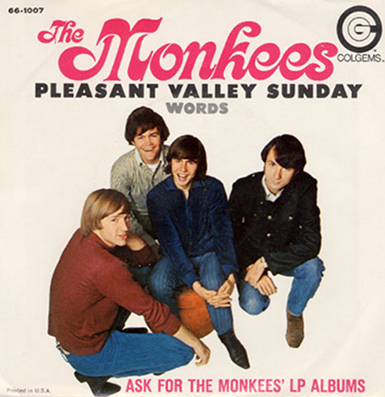 Most of the rest of this week's Top Ten held steady or slowly declined from the week before with the exceptions of "Pleasant Valley Sunday" by The Monkees (which climbed from #9 to #4), "Mercy Mercy Mercy" by The Buckinghams (up one spot from #7 to #6) and "A Girl Like You" by The Young Rascals (which advanced three places from #10 to #7). Top 20 movers include "Baby I Love You" by Aretha Franklin (#18 to #12), "Silence Is Golden" by The Tremeloes (#15 to #13), "My Mammy" by The Happenings (#17 to #14), "Soul Finger" by The Bar-Kays (#21 to #17), "Words" by The Monkees (#30 to #18), "Cold Sweat" by James Brown (#38 to #19) and "Thank The Lord For The Night Time" by Neil Diamond (#31 to #20). The Beatles top the LP Chart again this week with "Sgt. Pepper's Lonely Hearts Club Band". It will remain in the #1 position for the entire month of August. The rest of The Top Ten features a little bit of everything … Aretha Franklin, Herb Alpert and the Tijuana Brass, The Fifth Dimension, Bill Cosby and Andy Williams! 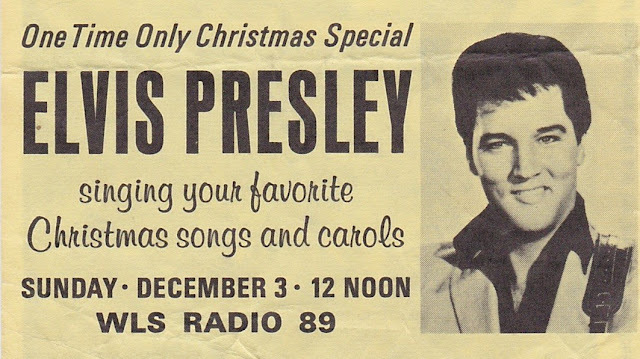 In one of those special "side deals" we mentioned awhile back, Elvis Presley and Colonel Tom Parker receive $25,000 from RCA for the "Clambake" LP and $35,000 for The Colonel's new promotional idea for Elvis' 1957 Christmas Album. (The promotion includes a special Christmas radio program that will be broadcast on over 2400 radio stations around the country … it aired here on WLS.) Elvis and The Colonel equally split the $60 grand. The Peoples Republic of China agree to give North Viet Nam an undisclosed amount of money in the way of a grant. The Viet Nam War will not be ending any time soon. 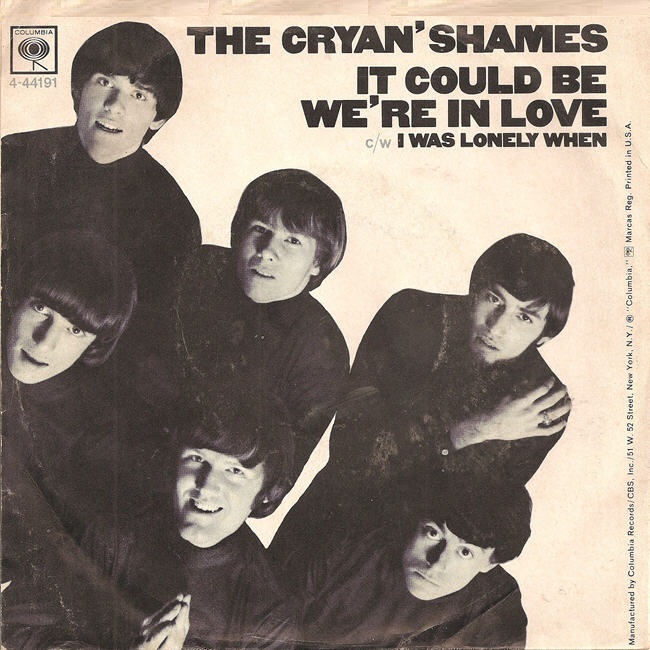 The Cryan' Shames begin their four week run at the top of the Chicagoland Charts this week with "It Could Be We're In Love", a record that never even broke The Top 50 nationally. Now that's a cryan' shame ... because this is a GREAT record! (These guys were denied their rightful spot on the national scene ... there wasn't anybody out there making records better than this one.) In all, The Cryan' Shames scored seven hits in the Chicagoland Top 20 between 1966 and 1968 ... and they were one of the most respected groups about town. 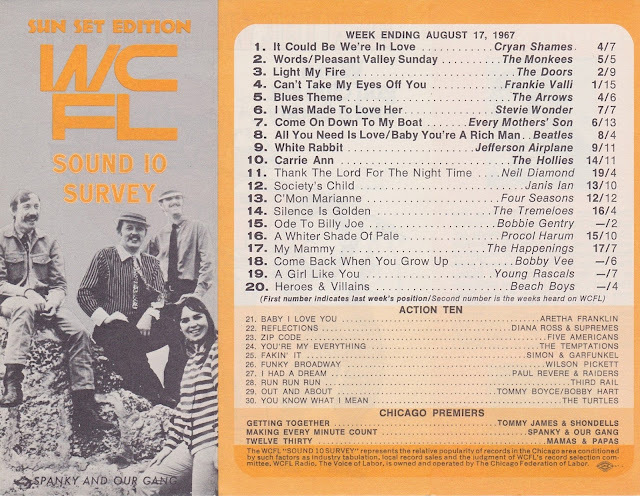 Local acts The Flock, The Mauds, The Buckinghams and The New Colony Six also hold down spots on this week's WLS Super Summer Survey. "Take Me Back" by The Flock is another one of those records that should have been a HUGE national hit ... instead "bubbled under" at #131 in Cash Box ... and didn't even do that in the other trades. Another one of my all-time favorites films (from this year and any other) tops the Box Office this week as "In The Heat Of The Night" (starring Sidney Poitier and Rod Steiger) becomes the #1 movie in America.